The Mono/Poly analog synthesizer, which first appeared in 1981, is considered to be one of the all time legendary KORG analog synthesizers. 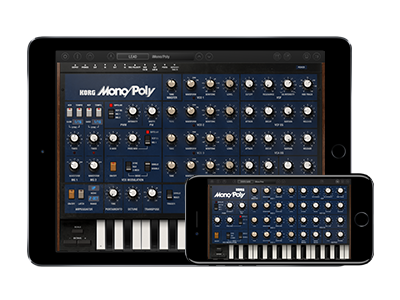 The iconic 4VCO synthesizer is now reborn in iOS format as the KORG iMono/Poly and as a Korg Gadget - Montpellier. 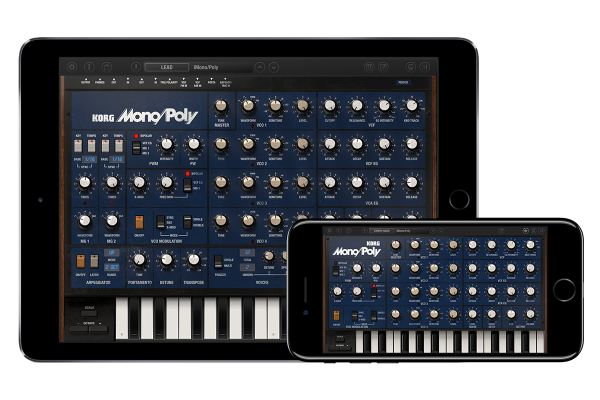 The long-awaited “KORG iMono/Poly” iPad/iPhone app completely reproduces all features of the original Mono/Poly. Four VCOs and a rich array of modulation allow a wide scope of detailed sound design. New functionality such as two multi-effects units and eight virtual patches are also provided. In addition, 128 of the latest preset sounds that fully exploit the unique functions of iMono/Poly are built in. A sound bank containing an additional 128 sounds is also available as an in-app purchase. Although iMono/Poly provides a vast number of parameters, it’s designed with a screen structure that provides quick and seamless access to all of them. With a single tap, you can rotate between the main synth & key assign screen and the virtual patch & effect screen (*). There’s no need to open individual screens for specific functions, or to move back and forth between them. * On the iPhone version, you can move by switching screens. KORG Gadget for iOS update! When you install both apps, iMono/Poly appears as the “Montpellier” gadget within KORG Gadget (*). 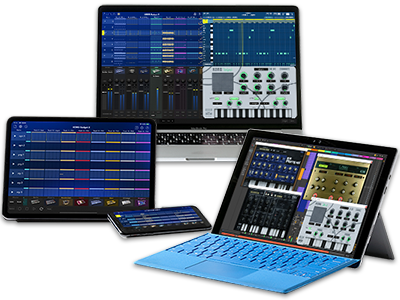 This means that your KORG Gadget-based music production system can now enjoy the extraordinary potential of four VCOs and virtual patches. * In the case of KORG Gadget for Mac, this is expected to be added in a future update. 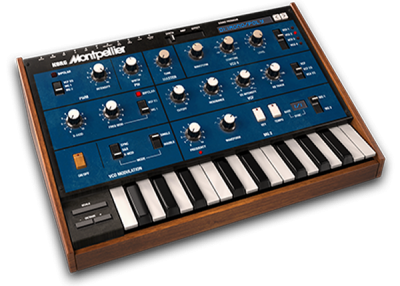 ・Montpellier：The iconic 4VCO synthesizer, “KORG iMono/Poly“ is now a gadget. ・Improved so that note input during pre-count is kept. ・Improved so that the count-in sounds even when the metronome is OFF. ・Other enhancements to make Gadget easier to use. Home News Reviving a classic KORG analog synthesizer: KORG iMono/Poly is now available! And KORG Gadget also works with iMono/Poly - Montpellier.